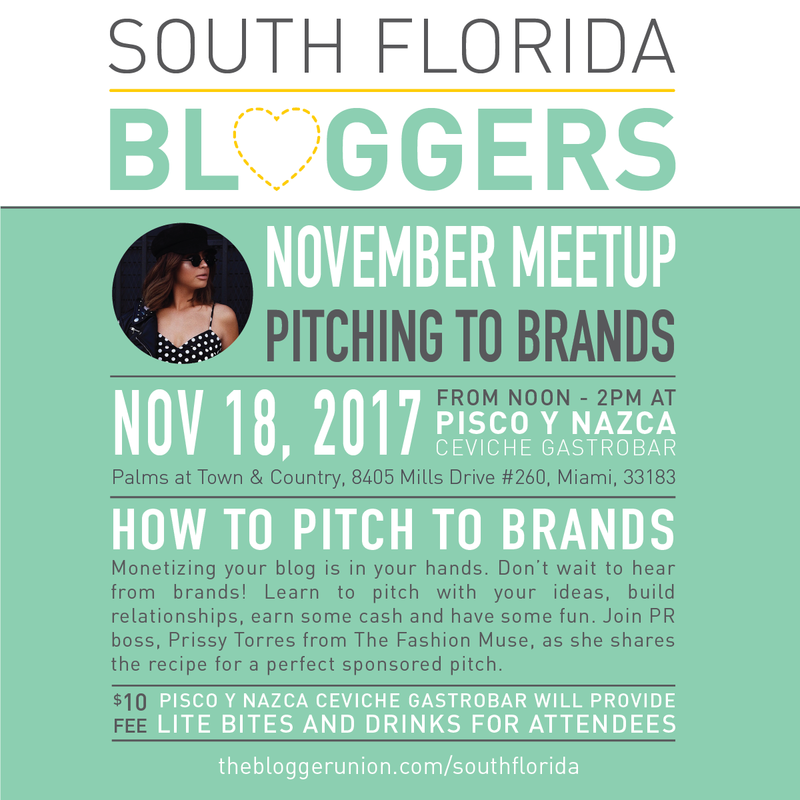 Join PR boss, Prissy Torres from The Fashion Muse, as she shares the recipe for the perfect sponsor pitch. Don’t wait to hear from brands. Monetizing your blog is in your hands! Learn how to pitch brands your unique ideas, build relationships, earn some cash, and have some fun. 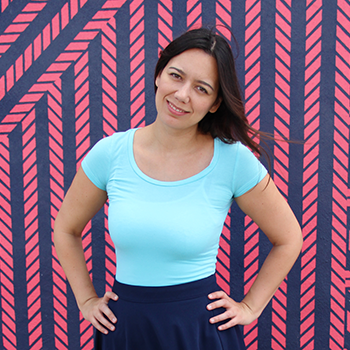 Priscilla (otherwise known as Prissy) is a Cuban-American born and raised in Miami, Florida. She is a PR girl boss in the making and began her blogging journey as The Fashion Muse in early 2014. In addition to her blog, she has also become a rising social media influencer which has led her to work for many brands such as; Univision, Telemundo, Disney, Forever 21, and cover red carpet events such as the American Music Awards. Not only has The Fashion Muse been able to exude the confidence within her, but it has influenced many other women in the community through what she knows best, fashion & beauty. Thank you to Pisco & Nazca Ceviche Gastrobar for hosting and providing lite bites and drinks.